Bring out your inner baker and enjoy some festive cooking this Christmas! At this time of year, no celebration is complete without a stunning centrepiece and ours are not only impressive but easy to make. While getting out decorations, dusting o! the tinsel and hanging fairy lights, be sure to make some time for festive baking. Whether you’re hosting a party or looking for desserts for the big day we’ve got recipes that yule love! 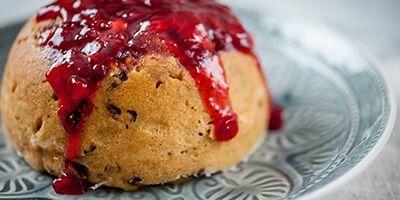 This steamed pud is festive in both colour and taste! 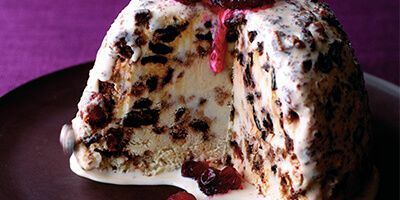 This twist on a classic Christmas pudding combines zesty orange notes and tart cranberries. The pudding will fill your house with the welcoming and aromatic smell of Christmas baking. 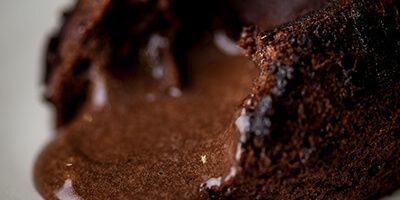 These hot, gooey chocolate fondants are a delicious end to a festive meal! The molten centre and soft sponge will make sure everyone is feeling merry. Ice cream and cake - could there be a more mouth-watering combination? Use up leftover Christmas pud and make a spectacular boxing day treat to share with friends and family! 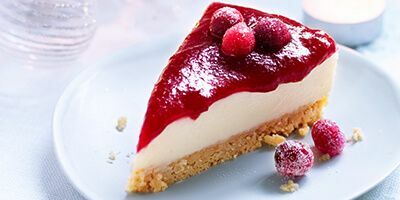 If you’re after a fruity option, this cheesecake is a winner! The glossy red finish makes this dessert a sensational festive centrepiece. It takes just 30 minutes to make, which leaves you time to do some last-minute present wrapping. 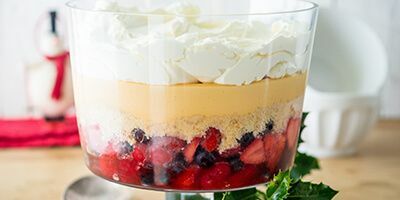 Our version of this traditional English favourite layers fresh fruit, creamy custard and whipped cream for a dessert everyone will enjoy! 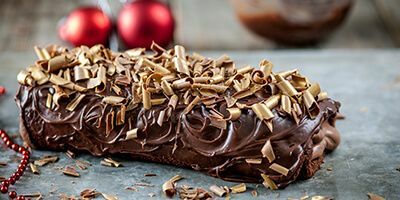 A fabulous alternative to Christmas pudding, and just as impressive - this Chocolate Yule Log makes a magnificent centrepiece. To finish, decorate with gold... no frankincense or myrrh required!